Would you be purr-roud to work with the best team, in the best place, with the best cats? You can use the links below to apply. If you don’t hear back straight away, it might be that we’re not currently recruiting but we always check back on past applications via this site each time we recruit. 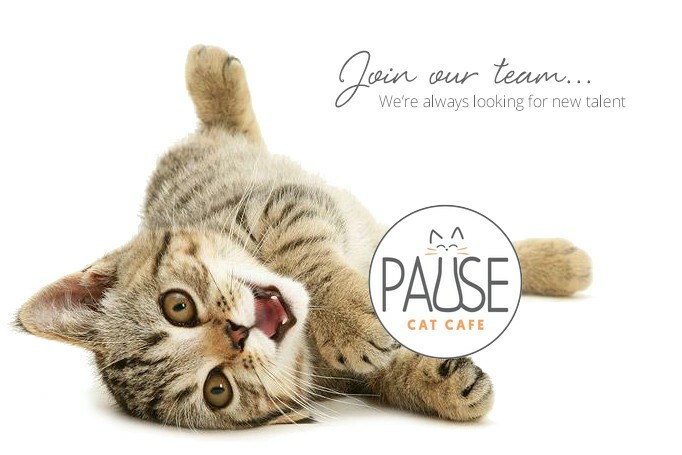 If you are interested in Volunteering, with any aspect of the cafe, contact us directly on hello@pausecatcafe.com.